Most NBA players who signed contracts during the past offseason become eligible on Saturday to be traded. What that means: With a much larger pool of players available for deals, NBA general managers will start spending a lot more time on the phone in the coming weeks. "It's about to heat up on Dec. 15," one Eastern Conference general manager said. "Conversations are definitely happening because once Dec. 15 comes, the pool increases. You've heard a lot of rumors about Pau Gasol, Andrea Bargnani. The names are only going to grow on Dec. 15." From conversations with several NBA executives, here's a list of players whose names figure to frequently surface in trade talks between now and the league's Feb. 21 deadline for deals. Contract status: Three years, $33.25 million remaining. Player opt-out in 2014. Due 5 percent bonus if traded. Buzz: Bargnani is sidelined with elbow and wrist injuries, tempering his short-term value. He hasn't lived up to the hype and injuries have been a concern throughout his career. Still, the young 7-footer can score and remains a sharp 3-point threat. 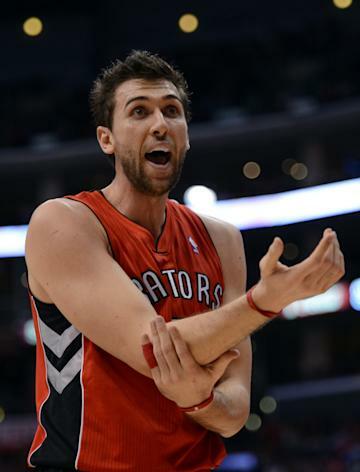 "Toronto definitely wants to move Bargnani," one NBA GM said. Contract status: Making $1.1 million in second year of rookie contract. Buzz: Brooks had a sensational rookie season averaging 12.6 points. But with the addition of Joe Johnson, Brooks has averaged just 6.2 points through his first 14 games this season. Sources said the Nets dangled Brooks in offseason trade talks, but his low contract number makes it difficult to get much of a return for him in a deal. "They are one of the rare teams that can afford to keep their team at a championship level financially," an NBA GM said. "For them, the development of young players isn't important because they can overspend." Contract status: Making $16.1 million in last year of contract. Buzz: Bynum is still experiencing left knee pain that has kept him from making his debut with the Sixers, but is hopeful he can return sometime in 2013. He becomes a free agent at the end of the season and was expected to command a five-year contract approaching $100 million. His health problems threaten to substantially reduce that number. One NBA general manager said the Sixers have been making trade inquiries about adding a starting caliber center. "They got to be a little panicked now," one GM said. "They could get a really interesting deal for him. I could see them doing that." Contract status: Making $10.5 million in last year of contract. Due a 10 percent bonus if traded. Buzz: Calderon has been mentioned as a possible trade candidate for years and has been linked with the Los Angeles Lakers in the past. Raptors starting point guard Kyle Lowry is expected to be sidelined another week with a partial tear to his right triceps muscle, but that shouldn't keep Calderon from being shopped. "I believe 100 percent that they're trying to trade him," one GM said. Contact status: Making $5.2 million in final year of contract year. Will be a restricted free agent at end of the season. Buzz: Evans recently had a positive conversation about his future with Kings general manager Geoff Petrie, a source close to the guard said. Evans thinks the franchise could match any offer sheet he potentially signs next offseason and would prefer to return to the Kings to prove he is a franchise player. But can the Kings afford him? "If they can't pay him, they'll just move him," one GM said. Contract status: Making $19 million this season and due $19.2 million next season. Due a 15 percent bonus if traded. Buzz: Gasol was nearly dealt to the Houston Rockets last year and continued to be the center of trade whispers. The Lakers, however, aren't expected to seriously consider any deals for him until after he returns and gets a chance to play with Steve Nash, who is also currently sidelined. 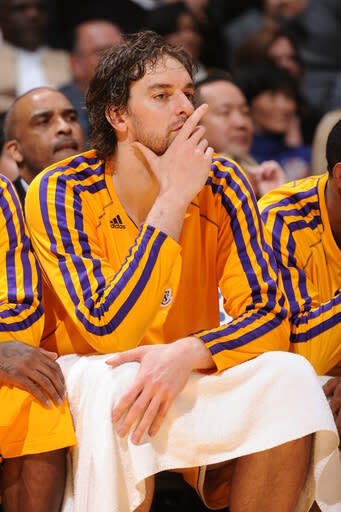 If a move does happen with Gasol, it will likely be much closer to the trade deadline. "I believe that the message being conveyed to wait and see with Nash is accurate," one GM said. Contract status: Making $3.1 million in final contract year. Will be restricted free agent at end of the season. Buzz: Hansbrough is averaging career-lows of six points, 4.2 rebounds and 16.1 minutes, but could be a good frontcourt addition for needy teams. By moving Hansbrough, the Pacers could potentially add a wing player to help soothe the loss of injured small forward Danny Granger. "I'm surprised they haven't been playing him," one GM said of Hansbrough. Contract status: Making $3.1 million in final contract year. Will be a restricted free agent at end of the season. Buzz: Henderson averaged 15.1 points last season and seemed to be coming into his own. A foot injury early this season, however, forced him to miss 13 games. The Bobcats have since primarily started rookie Jeff Taylor instead and a league source said the team is open to trading Henderson. "If they don't look like they can afford him, they are probably going to move him," one NBA GM said. "They were playing their best basketball when he was hurt." Contract status: In first year of a four-year, $60 million contract. Can opt out after the 2014-15 season. Buzz: In an interview with Yahoo! Sports NBA columnist Adrian Wojnarowski, Love recently questioned the direction of the franchise under owner Glen Taylor and general manager David Kahn. Love isn't happy about not getting a five-year maximum contract, and some teams might try to explore acquiring him from Minnesota. "I don't think that's a match that is permanent in Minnesota," a rival assistant GM said. "I'm not saying they're shopping, but if they can get the right deal they would look at it. And I don't think he wants to be there." Contract status: Making $8.6 million in final contract year. Buzz: The Utah Jazz are in the playoff hunt and have two starting big men in the last years of their deals in Millsap and Al Jefferson. 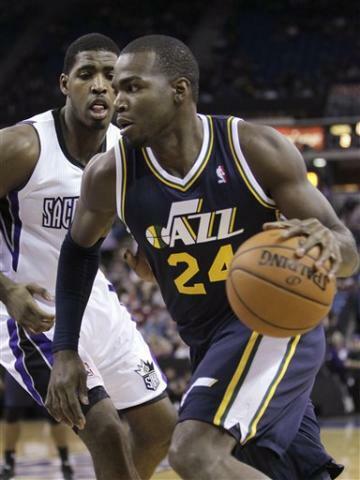 Utah also has two talented young big men in Derrick Favors and Enes Kanter. Any big move by new general manager Dennis Lindsey, however, could disrupt Utah's playoff hopes. "I would think they would more likely trade Millsap over Jefferson because he is going to be harder to keep," one GM said. "He's made less money than Jefferson and he will go to the highest bidder." Contract status: Making $3.1 million in last year of contract. Will be a restricted free agent at end of the season. Buzz: Of their three centers, the Nuggets are most willing to part with Mozgov, who has proven in his short NBA career and Olympic play that he is a serviceable big man. The Nuggets probably won't try to re-sign him with two other free agents on the horizon: guard Andre Iguodala and reserve swingman Corey Brewer. "It's logical because they have three centers and it's hard for [coach George] Karl to play them all," one NBA GM said. "The Nuggets are not a big revenue-generating team and they're not going to pay the tax." Contract status: Has $27.1 million remaining over final three years of contract. Due 5 percent bonus if traded. Buzz: Varejao is having an All-Star season, averaging 14.3 points and 14.8 rebounds through 22 games. Cleveland, however, has one of the NBA's worst records so teams will at least ask about the availability of Varejao, whose stock is rising by the day. "He is a target for trade, but I don't think Cleveland wants to trade him," one GM said. "There is a distinction between players teams might want to move and players teams want to have." Contract status: Making $4.8 million in second year of rookie deal. 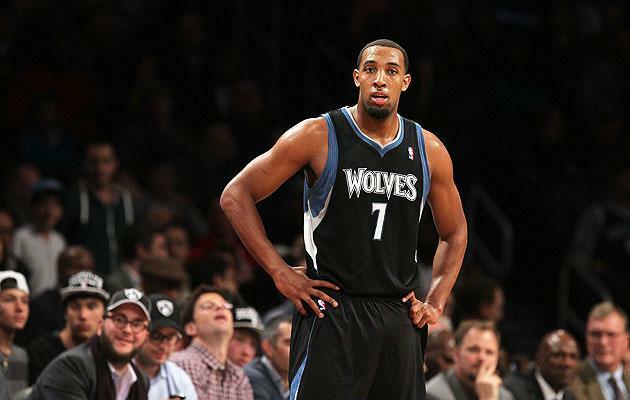 Buzz: Williams has had a disappointing career in Minnesota after being selected second overall in the 2011 draft. The highest draft choice in franchise history has been earning DNP-CDs or short-minute stints under coach Rick Adelman. Both sides would be happy with a move. "They will move him in a heartbeat if they could," one rival team executive said. "I don't think the coaches are that high on him. You have to get something for him now because the longer he sits, the more people think he can't play." • Video: Will Johnny Manziel win multiple Heismans?